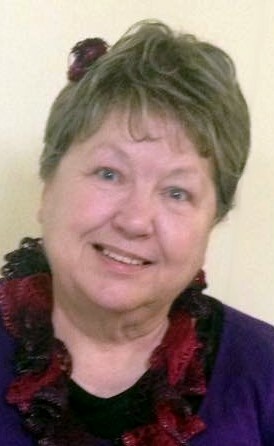 Anniston - Funeral services for Judy Day, 76, will be Friday at 2 p.m. at Landmark Church with Anniston Memorial Funeral Home directing and Pastor Hall officiating. Burial will follow in Maple Grove Cemetery. The family will receive friends from 12:30 until service time. Mrs. Day passed away on Wednesday at RMC in Anniston. She was a kind-hearted, generous, loving person who spent her life serving others. She will be deeply missed by her surviving children, Sandy Woodley (Stan), Jon Green (Lana) and Anne-Marie Cochran (Blake); siblings, Shirley Thone, Janet Thompson (Clayton), Donna Nelson, Betty Grewe, Laurie Lansing, Bobby Lemke and Dwayne Lemke (Vernie) and a host of grandchildren and great-grandchildren. She was preceded in death by her son, Robbie Green and granddaughter, Kelsey Jagello. Pallbearers will be grandsons. Mrs. Day led a godly life as a member of Landmark Church, and was a loving mother and grandmother and great-grandmother.